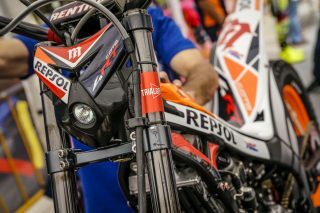 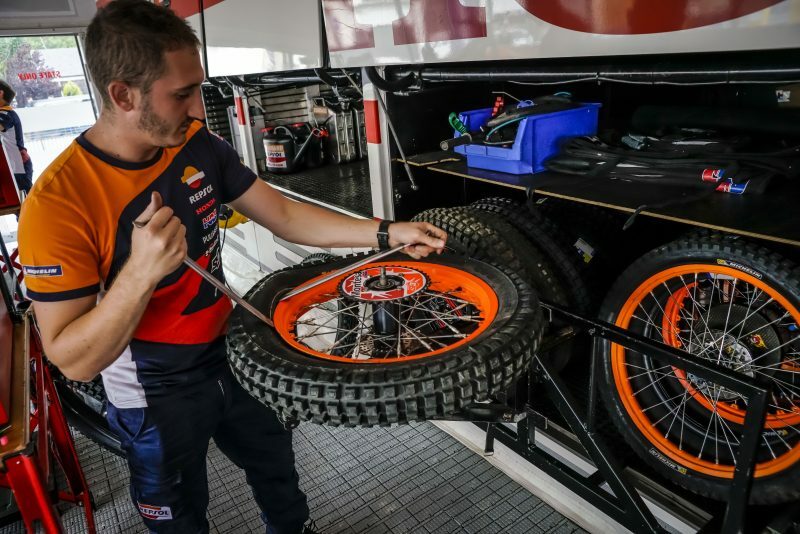 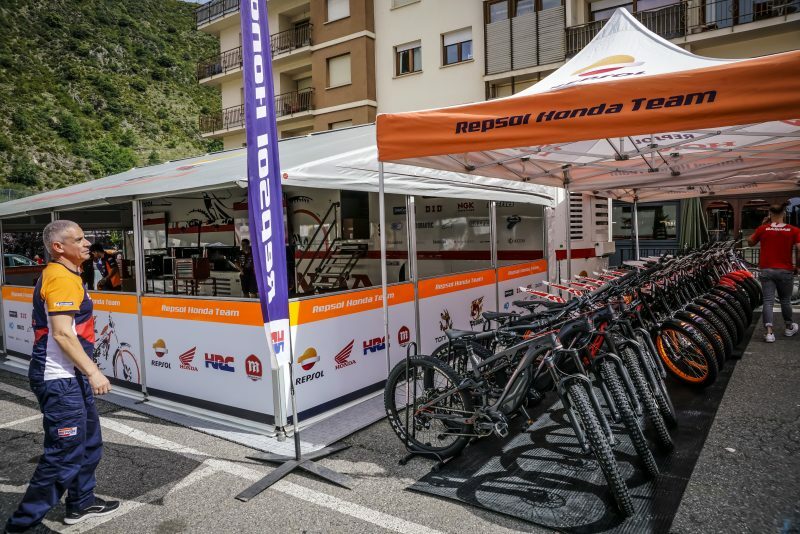 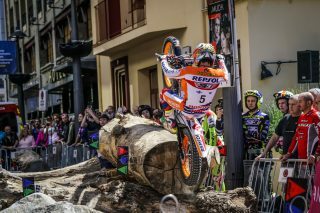 The Repsol Honda Team rider gave the stopwatch a battering this afternoon in the Andorra TrialGP qualification held in the heart of Sant Julià de Lòria. 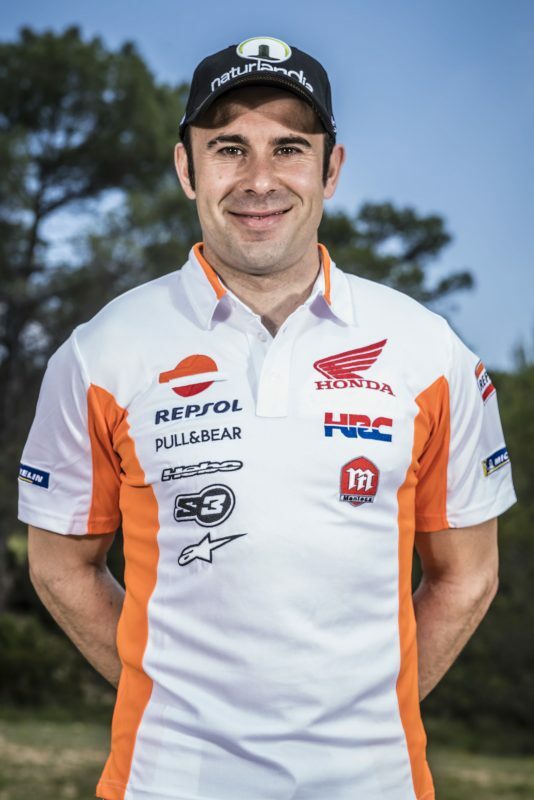 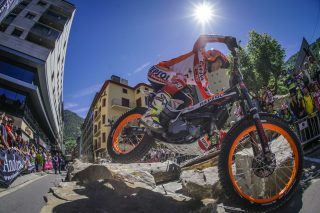 Toni Bou will thus be the last rider to tackle the main event of the third round of the TrialGP World Championship tomorrow. 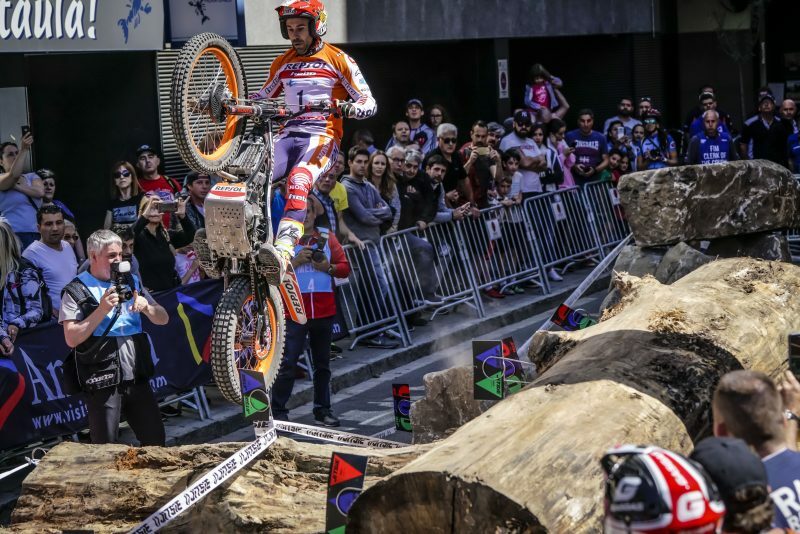 With a fine synergy between motorcycle and rider, coupled with quick and precise movements, Toni Bou today scorched his way to the best qualification time in TrialGP Andorra. Bou, who had already been the fastest in the first qualifying lap, whittled the time down further to 25.3 seconds, 1.88 quicker than second place rival Jaime Busto. 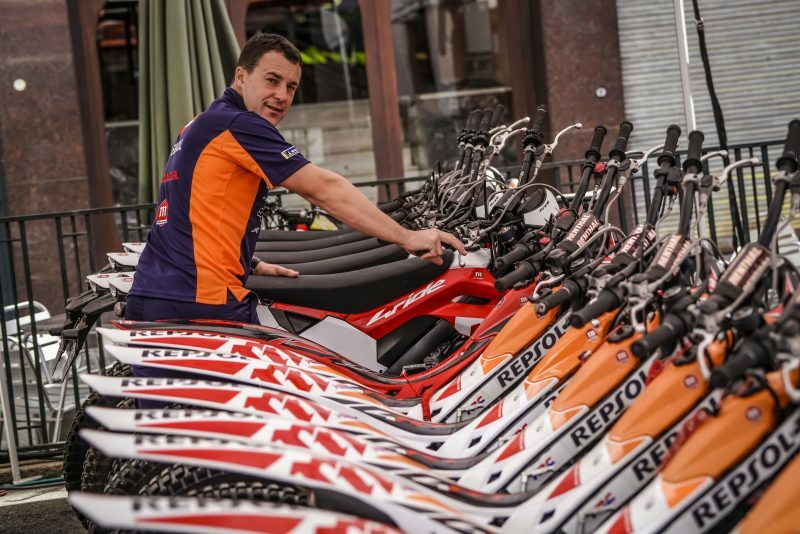 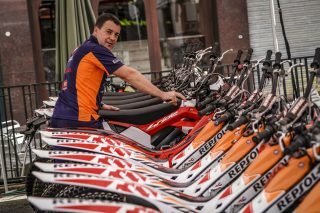 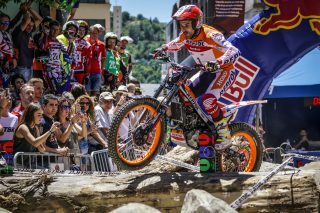 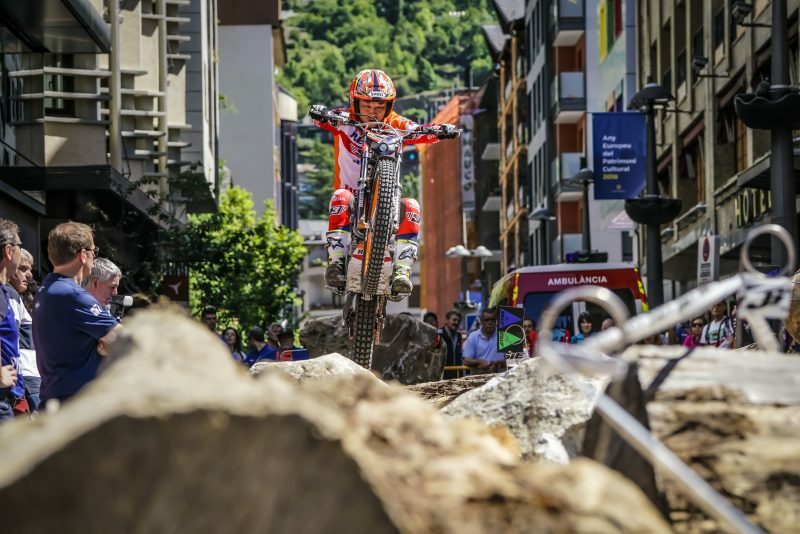 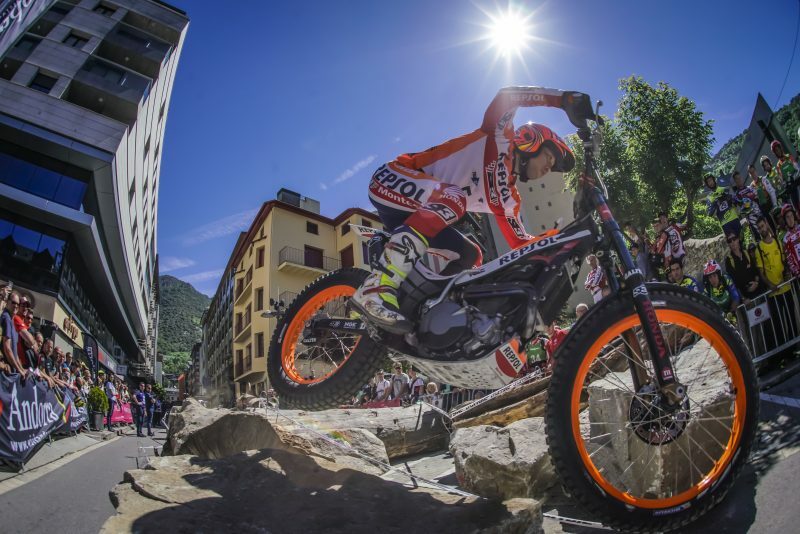 First place in qualifying, sets Toni Bou up for the final starting position for tomorrow’s Andorran trial, the third round of the TrialGP World Championship. 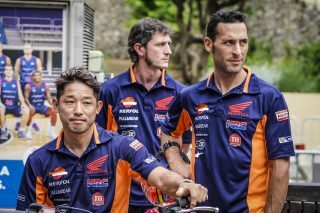 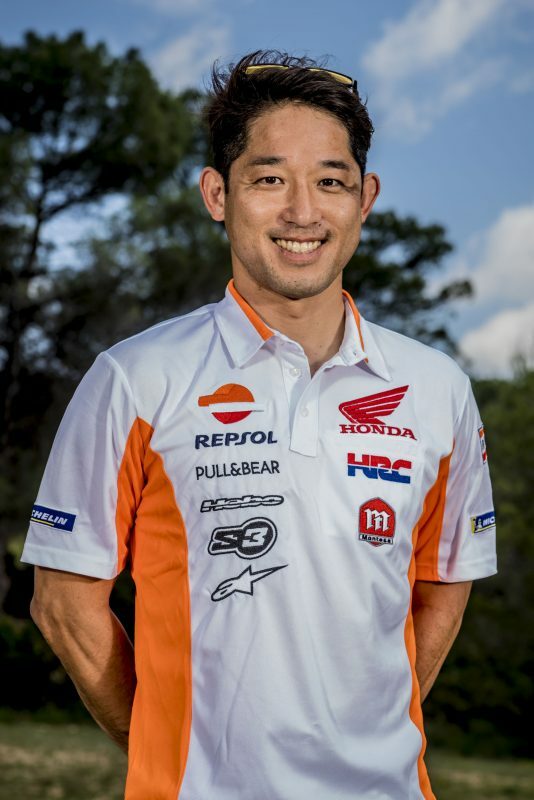 Repsol Honda Team stable-mate Takahisa Fujinami, took a calmer approach, preferring prudence to errors in the hope of also securing a start from the rear. However, as all the other riders managed to likewise avoid a maximum, Fujinami, who finished in penultimate place in Q2, is now forced to take the course from second starting position tomorrow. 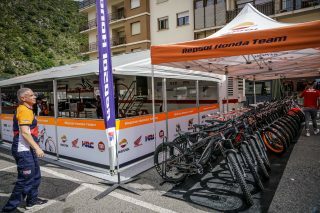 Fifteen sections over two short four kilometre laps await the riders tomorrow, Sunday. 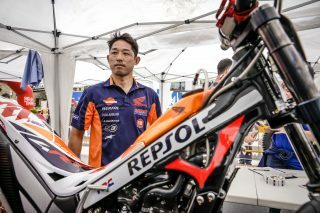 The first rider to take the start will do so at 09:00 with Takahisa Fujinami set to start at 9:46 and Toni Bou at 9:58. 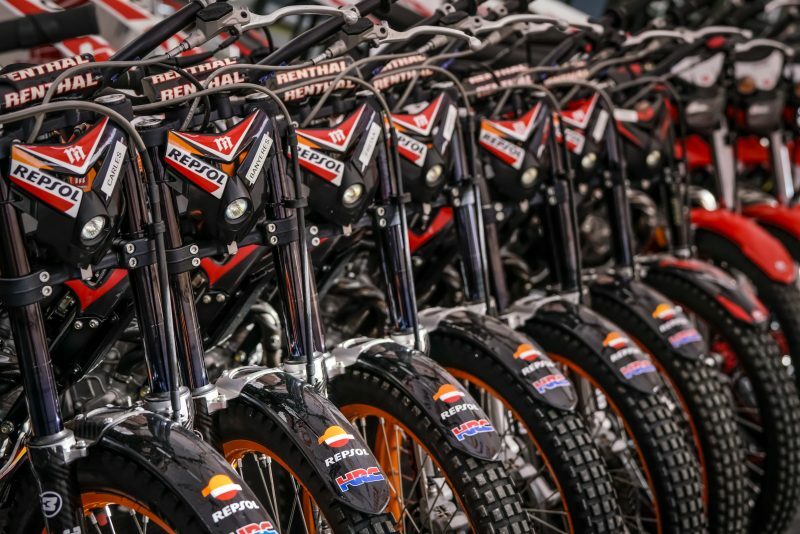 The race is expected to wrap up around 15:20. 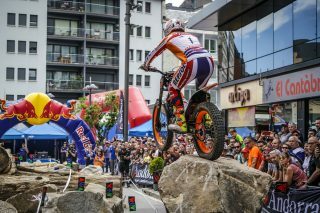 I'm very happy, I think it was an incredible time. 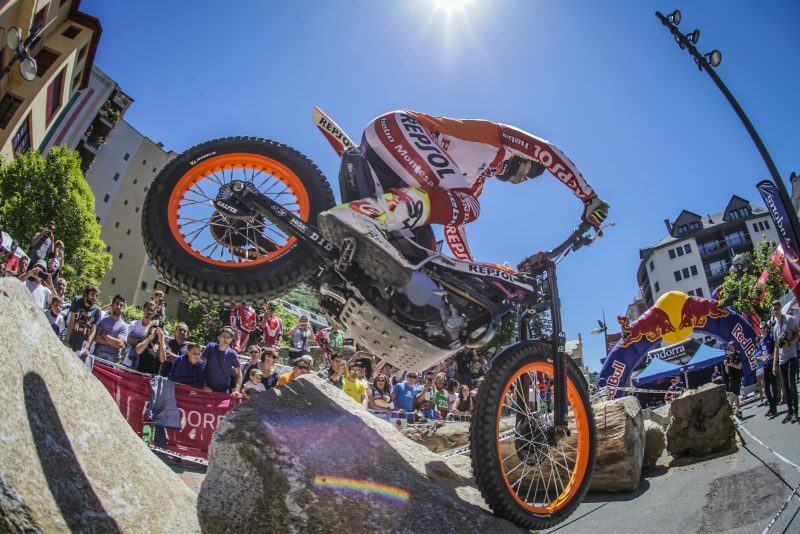 We ran a few risks but stayed in control without any setbacks and managed to be very fast too. This is what this type of qualification is all about: taking it to the limit. 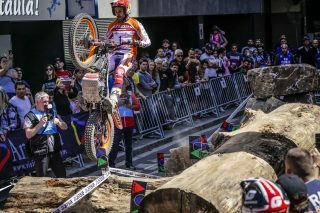 Today went well, although on the previous two occasions I had made big mistakes. 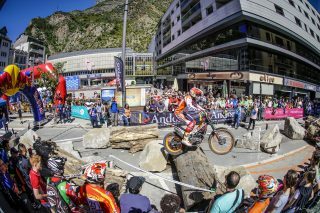 Here in Andorra it is very important to start from the rear, because I believe that the trial will improve as the riders go through. 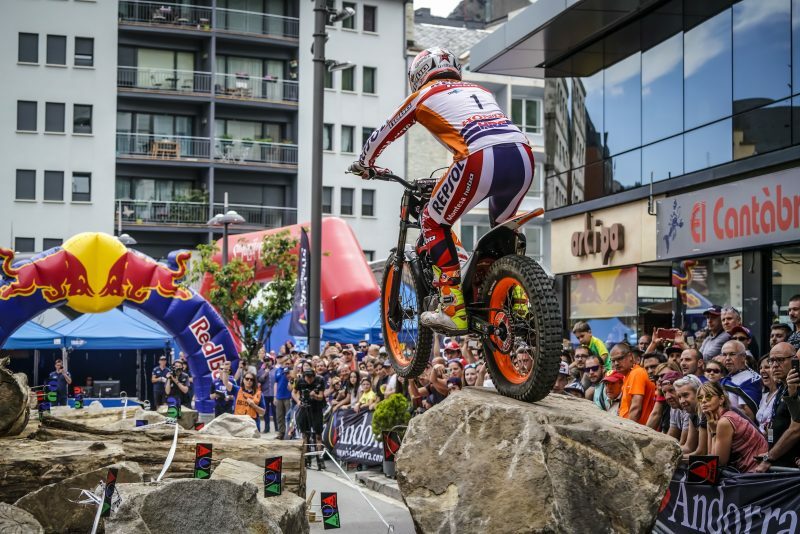 In general I have seen that there are some easy areas and some difficult ones, which will be the ones that make the difference. 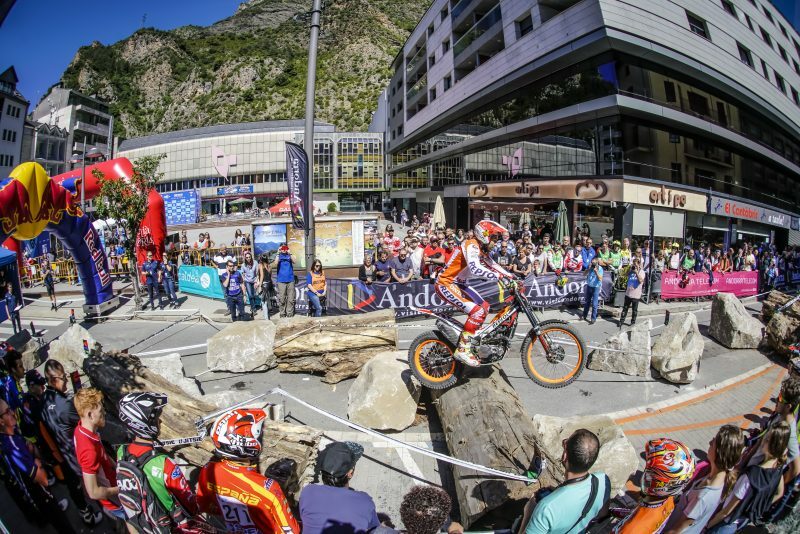 The heat and altitude are also aspects to point out in Andorra. I'm not at 100% physically but I'm used to training here and right now after the qualifying sections, the sensations I have are pretty good. It gives me great satisfaction to be able to get the first pole here, in front of my fans. 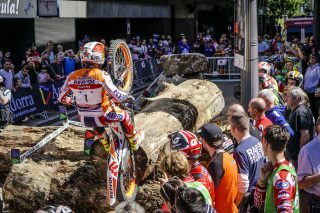 Today the result was bad: I finished the section without errors, but I was at the bottom of the qualifying table. 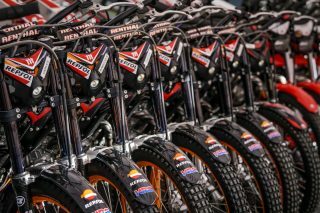 I wanted to guarantee not making any mistakes that would take me into the open areas tomorrow, but maybe I was somewhat slow. 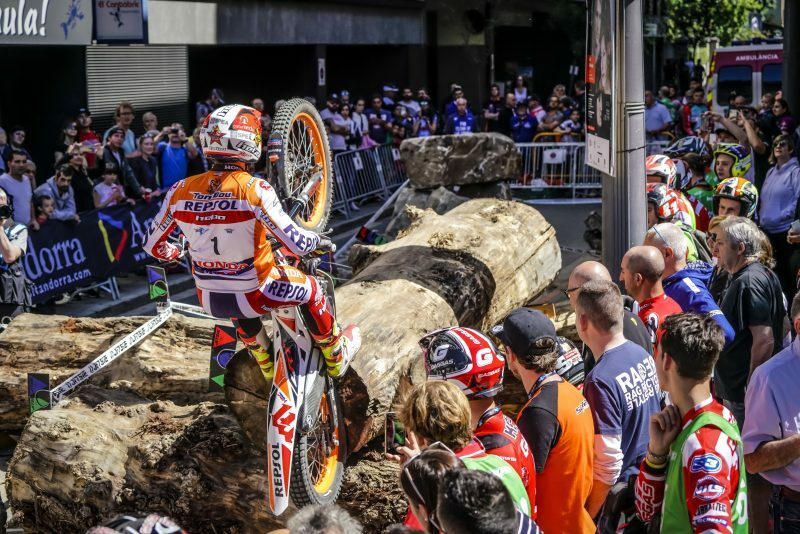 In Q2 everyone clocked up great times and I came out a bit nervous because this morning my time was fine, but I couldn’t see myself being able to improve much more without taking risks. 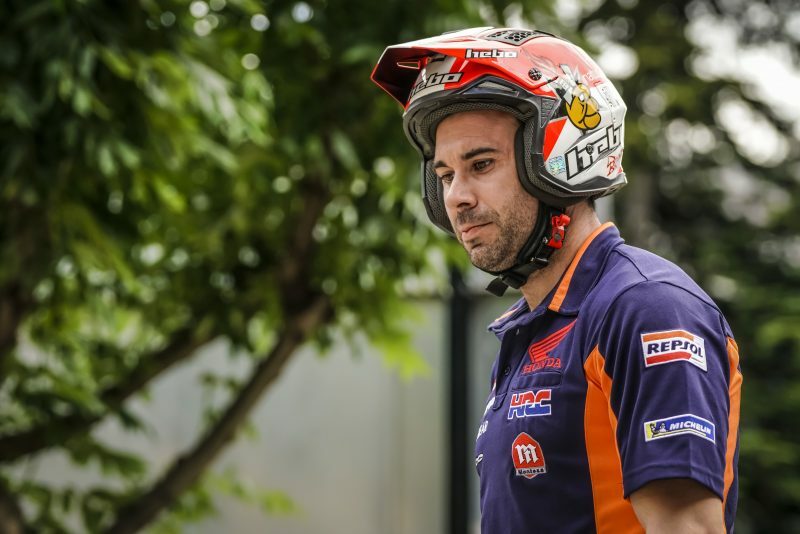 Tomorrow we will have to focus hard as we will open the trial and we will not have any reference points, but this way I will be able to concentrate on having a good trial.